The following was published in the National Post on Thursday, September 1, 2016. 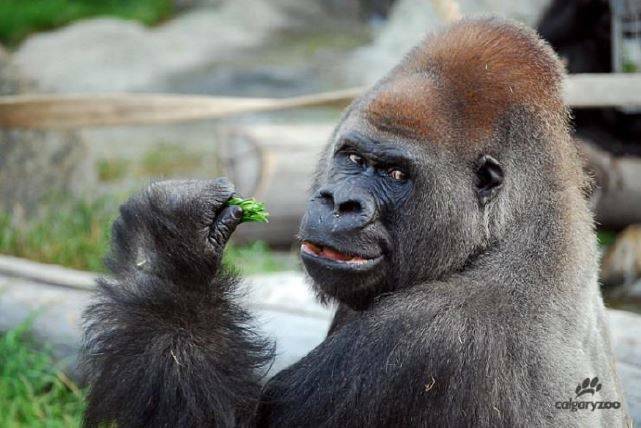 The death earlier this year of Harambe, the Cincinnati Zoo’s western lowland Silverback gorilla continues to enflame online passions, spur the creation of viral memes, and provide fodder for anti-zoo commentary. National Post columnist Colby Cosh was the latest to jump into the fray with a piece titled “Hey man, nice shot – what Harambe, the martyred gorilla died to teach us’. Notwithstanding the promise in its title, it would appear that the lessons Harambe’s death (and this article) tries to impart are pretty simple: zoos are bad, and it’s true because H.L. Mencken – quoted extensively — said so approximately 100 years ago. But if you look beyond its anachronistic references, or the bizarre attempt to characterize zookeepers as gun-toting desperados; overlook the (demonstrably incorrect) suggestion that research taking place in zoos has no in-the-field applications, you’ll find that at its root, this article — and the public reaction to Harambe’s death — actually makes a case for zoos. The zoos that existed in Mencken’s time had about as much in common with modern zoos as his newsroom at the Baltimore Sun had in common with that of the Sun today. But let’s take at face value his argument that we can only learn from animals “in a state of nature” and see what lessons the critically endangered western lowland gorillas in the wild have for us. In all likelihood a western lowland Silverback was killed for bushmeat in the Democratic Republic of the Congo today. If not today, one will surely be killed tomorrow or the day after. Estimates of the number of gorillas killed illegally in the region run from a low of about 400 to a high of 4500 per year, many of those deaths directly the result of human economic endeavours: logging, mining and agriculture. Yet there are no viral Facebook memes. Why is that? Mr. Cosh urged readers to “try using Google to find out what firearm and round was used to kill Harambe”. Try using Google to find out what firearm and round is used to kill gorillas in the wild instead and you’ll learn that gorillas are killed in a variety of fashions, with firearms being the preferred method, but also in snares and traps poachers intended for other animals. Of course, there are no online debates about whether tranquillizer darts could have been used, as happened after Harambe was shot. In fact, other than in fairly specialized publications, and online among dedicated conservationists, there’s not much of a conversation about the life and death circumstances of these gorillas in the wild — certainly not the viral, meme driven, emoji-filled kind that followed Harambe’s death. Why is that? There’s a simple reason, and it’s one an old-school journalist like H.L. Mencken would have appreciated: proximity and familiarity. Proximity and familiarity are what give a news story personal meaning. It’s what helps explain North Americans’ asymmetrical reactions to terror attacks in different parts of the world. And it’s what explains the importance of zoos. Harambe lived in an environment we understand. The Silverback killed this morning in the Congo did not. Whether one agrees with their existence or not – and 12 million people visit accredited zoos in Canada alone every year — zoos help create proximity and familiarity with the exotic and distant. In Mencken’s time, zoos were reflections of a now vanished world where wild animals were still plentiful and living in ecologically robust habitats. Today zoos exist as bridges to an increasingly fragile natural environment. Zoos alone cannot reverse years of environmental neglect and unsustainable practices. But zoos are unique in the potential they have to transform our attitudes toward the natural world and create the emotional proximity necessary for action.